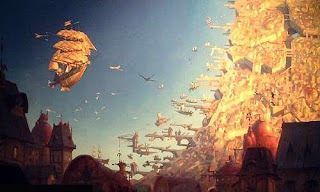 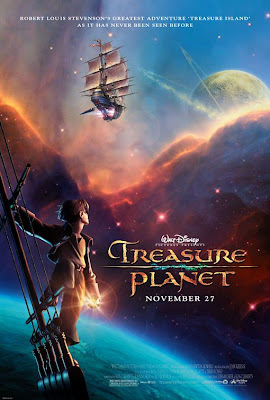 Treasure planet is a movie i have always loved, it has great characters and brilliant animation. 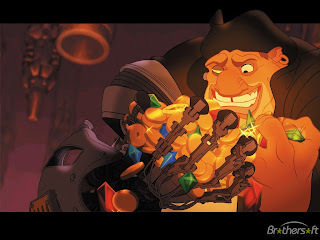 The whole story is built on the idea of a typical Pirate lifestyle. The motion graphics within Treasure planet was brilliant, they were one of the first creative designers that used 3D working a long with 'cartoon' images in oder to give the whole visuals a new depth.